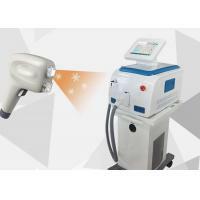 Diode Laser: Diode Laser Hair Removal is accomplished when destroying hair follicular unit by thermal damage of laser density and thus inhibiting future hair re-growth by the follicle. 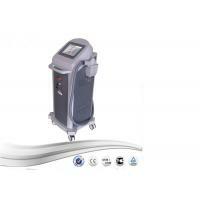 The widely optional pulse duration (1-400ms) of 808nm diode laser system can produce thermal damage in hair matrix stem cells and ensure follicular destruction. In order to minimize the uncomfortable of thermal damage to surrounding skin cells, an efficient skin-cooling system (Sapphire surface contact cooling tip) is used to chill the skin during treatment period. 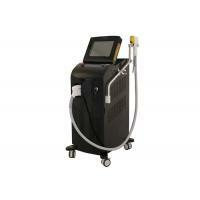 Therefore, 808nm diode laser has better effectiveness for hair removal in patients with dark skin. 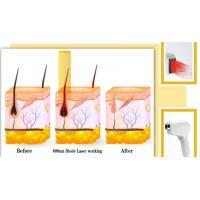 808nm wavelength Diode laser penetrates into the dermis, and is absorbed by the targeted melanin in the hair follicles. 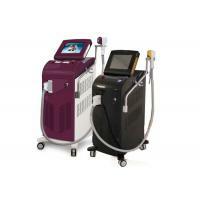 This will form enough thermal energy to destroy the targeted follicular epithelium because of the laser-induced photothermal effect.In contrast, the surrounding skin tissue is spared due to lack of melanin. This way, the surrounding skin remains intact, while the hair follicles are selectively affected, which leads to non-invasive permanent hair reduction. 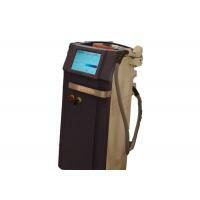 4.Permenent hair removal, better than IPL and E-light; Remove hair on different part of body effectively. Such as armpit hair , beard, lip hair, hair line, bikini line, body hair and other unwanted hair. 5.Also Relieve symptoms of speckle, telangiectasis, deep color naevus, spider lines, red birthmark and so on. 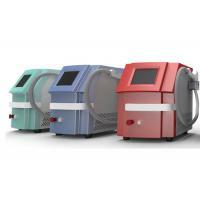 8.Strong Sapphire touch cooling system: make momentary epidermal anesthesia, no any painless during, increases comfort during treatment. 9. Wide usage: suitable to all kinds of skin and all type of hair. 10. 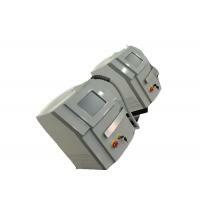 Safety and Comfortable: no pain, no scar in treatment,no harm to the skin and sweat glands, no any side-effect . 11. 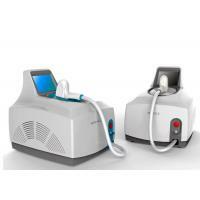 Easy and fast treatment: no down time,not affect people normal life. 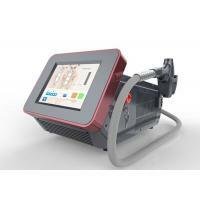 Big spot size high frequency could prompt the treatment speed and efficiency. 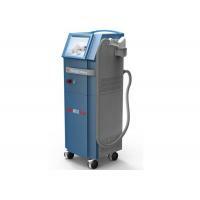 Reduce treatment time for original 1/5.